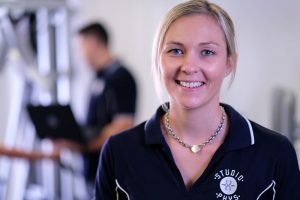 I am a passionate Exercise Physiologist and the Director of StudioXphys in Mudgeeraba. I specialise in musculoskeletal conditions with great interest and knowledge of spinal issues including neck and lower back pain. Since graduating from the Bachelor of Exercise & Movement Science at the Queensland University of Technology and my Masters in Clinical Exercise Physiology (Rehabilitation) at Charles Sturt University, I am now working with some of the most advanced rehabilitation equipment on the market. Fun Fact: Love exercise that makes you sweat, I love hot yoga! Copyright © 2016 Studio X Phys. All rights reserved. Sitemap. Valid XHTML / CSS.